Bollywood’s latest chocolaty boy Ishaan Khatter‘s Instagram profile is rid with pictures and videos straight out of the gym. 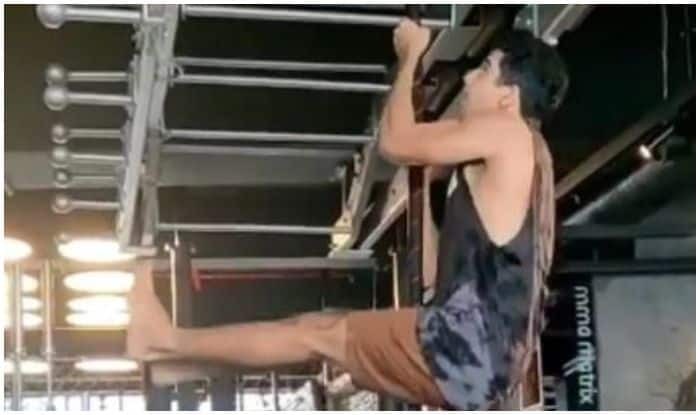 Slaying even during workout sessions, Ishaan teased fans yet again today as he uploaded a video from Tiger Shroff and Krishna Shroff’s gym. Seen climbing up and down a rope, Ishaan looked rough as he donned an indigo vest paired with brown shorts. He captioned the video as, “Back to basic! Thank you for the warm welcome @ayeshashroff @tigerjackieshroff @kishushroff @alanfenandes @dhruvchaudhary999” (sic).